The South Pacific encompasses much more than Australia and New Zealand. It includes exotic islands like Fiji, Tahiti, Vanuatu and Palau. You can take your pick of these bucket list destination at any time by booking an award ticket on the airlines you have miles with including American, United and Alaska. Unlike Europe or South America though, what is classified as the South Pacific can vary by airline. Here are some tips to avoid confusion. American puts all countries of the region into one basket. SOUTH PACIFIC: Australia, Easter Island, Fiji, French Polynesia, New Caledonia, New Zealand, Papua, New Guinea, Republic of Tonga, Republic of Vanuatu, American Samoa and Samoa. United splits the region into two parts. OCEANIA: American Samoa, New Caledonia, Cook Islands Northern Mariana Islands, Fiji, Palau, Micronesia, Papua New Guinea, French Polynesia, Tonga, Guam, Vanuatu, Marshall Islands and Western Samoa. Alaska splits the region into AUSTRALIA and the PACIFIC. We are not including Delta here since its business class redemption levels become prohibitively expensive after October 1, and it does not offer first class award seats. American only flies from L.A. to Sydney and Auckland, but it has a partner that flies on more routes between the U.S. and South Pacific than any other airline. Qantas flies from L.A. to Sydney, Melbourne, and Brisbane, and from San Francisco and Dallas to Sydney. And there are plenty of connecting flights to most other islands in Oceania from these cities so American and Qantas will work out great even if neither Australia nor New Zealand is your final destination. Both airlines put their best seats and service on these routes, and connecting flight awards to Oceania are not difficult to find. The problem is the inventory. Business and first class award space is not easy to spot on these routes. If you are a solo traveler who can plan ahead, it can be much better. At the time of writing, for example, availability is pretty good for April-June 2017 on both American and Qantas. Please remember that the hardest part is to cross the Pacific – finding the way to your gateway city in the U.S, as well as to your final destination within or from Australia is a much easier task. Another way to use American miles to the Pacific is via Fiji on Fiji Airways. They feature comfortable, albeit angle-flat seats and excellent food and service. Fiji availability is also not super easy to find, but if you consider flying via Nadi, it will increase your chances. United has more flights to the regions, and it has non-stop flights to some islands in Oceania, too. United flies from L.A. to Sydney, from L.A. and San Francisco to Melbourne and from San Francisco to Auckland, but it also flies to Pacific islands via Honolulu. Note that while American rules prohibit you going from the Continental U.S. to the Pacific via Hawaii, it’s not an issue with United. From Honolulu United flies to Guam, Marshall Islands, and three airports in Micronesia. United has its own quirks in business class availability (neither United, nor Air New Zealand operate a first class cabin). You can find seats either within the next month or two on Air New Zealand or 10-11 months in advance on United. And while finding two seats on United is not too hard, it’s much harder on Air New Zealand, so you stand a better chance if you are a solo traveler. 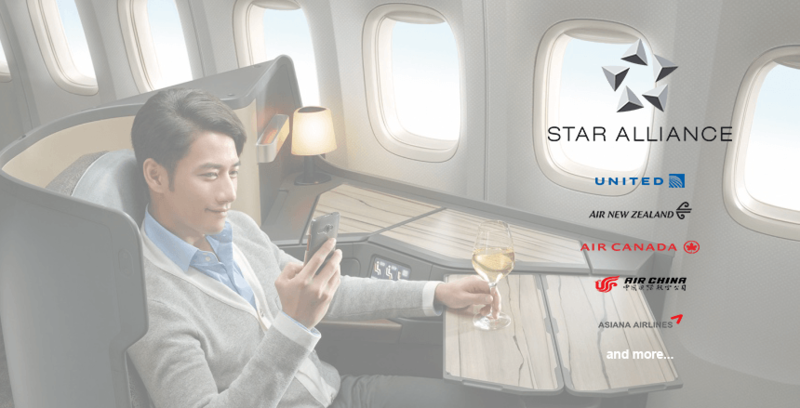 You can also find a premium class seat on other Star partners, such as Air Canada, Air China or Asiana. Alaska has a lot of partners flying to Australia (Cathay Pacific, Delta, Korean, Fiji, and Qantas) and South Pacific (Air France, Fiji and Korean). Unfortunately, premium class availability is hard to find. Your best bet would be Fiji Airways and Cathay Pacific (Cathay is only available to Australia, and you must call to book). Alaska awards cost less and sometimes much less if you are fortunate enough to find availability. Unfortunately, Alaska awards are not available for redemption on American to this region. There are no surcharges from all three programs to these regions. American: One-way travel is allowed, but you can’t travel via the third region (can’t route to South Pacific via Asia or Hawaii from the Continental U.S.), and there are no free stopovers. United: One-way travel is allowed, and you get one free stopover almost anywhere on the way to or from your final destination and up to two open jaws (although the rules will become more restrictive after October 5, a stopover and open jaws will still be allowed). Alaska: Some partner airlines don’t allow a one-way ticket at half the miles, but you get one free stopover even on a one-way ticket. Alaska is a huge winner due to its generous stopover policy. Alaska Mileage Plan beats others in costs and routing rules, but the premium class availability on partners is a consideration. In the end, it doesn’t matter how good the award chart is if you can’t get a ticket. Unfortunately, it appears that Alaska partner airlines don’t share much premium award space on these routes. Even Qantas shares more business and first class seats with American than Alaska. Having said that, we still recommend starting your search with Alaska, because when you can find availability, it’s a terrific way to save miles. Follow this link to find out how to earn tens of thousands of Alaska miles. To find out how to earn American miles click here. For United, here are some tips.